A late October night in 2014, the idea of Projekt S came to me. The driving force was to create a resistance movement against unrealistic female body ideals and the strive after perfection. I think all girls are well attuned to the pressure of achieving a certain standard of female beauty. We are constantly exposed to messages about appearance, size and shape and social media haven’t made self-acceptance any easier. I’ve been working with young girls for a couple of years and observed how many of them are unhappy about their looks, weight and size. I’ve seen their standing in front of the mirrors, telling their girlfriends how they want a flat belly or thinner thighs. Already at the age of 10, some of them start comparing themselves with models on Instagram. I remember thinking to myself: “Someone needs to tell these girls what really matters”. 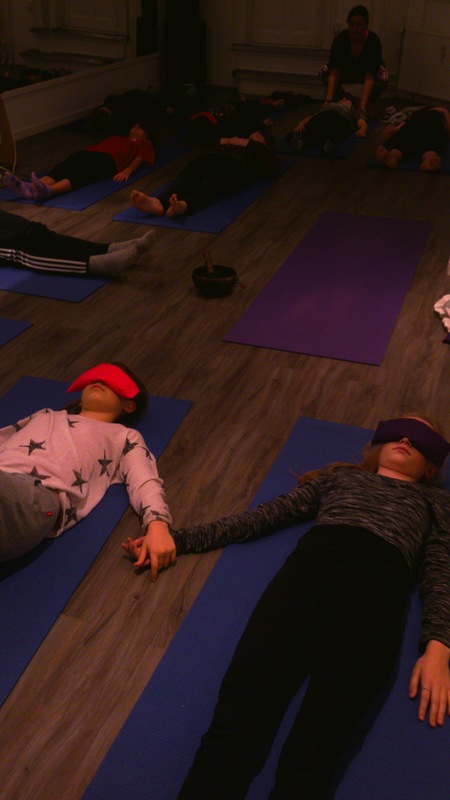 The idea turned into reality, and in January 2015 the first 3-month self-development course for girls aged 10-16 years started up in a cozy dancing studio in Nørrebro. The program combines yoga, mindfulness and dance with teaching, open dialogues and group activities that focus on self-confidence, self-esteem, strength and overall health. Today the second course is running and about 30 young girls have been a part of the program so far. They have opened up about bullying, attitudes towards body ideals and social media behavior, and learned how to manage conflicts, share their feelings and stand up for themselves. In only 12 weeks, they have become strong, confidence, independent and reflective girls – and it’s truly amazing to be a part of their journey. As a GNH student from the Lifestyle and Health specialization, I have been able to use knowledge, theories and models from almost every single module of the education program. Moreover, I’ve gained practical experiences from so many various fields such as pedagogy, didactic, coaching, health psychology, health promotion, business organisation, marketing, PR and project management. Furthermore, the holistic view of health taught in the education fits perfectly with what Projekt S stands for. Projekt S is a new and innovative strategy to promote a positive body image, self-acceptance and life satisfaction among young girls. The project has lots of potential and have already started to cooperate with other organizations. The future goal is to expand and reach out to a bigger audience, so initiative is able to help more girls with becoming happy, strong and confidence women. Because there are so many girls out there who need to know how special they are. Linn Tornholm is a 23 year old student from Norway with a strong passion for healthy female body ideals. She has been living in Denmark for 3 years, and is currently an intern in her own company where she's writing her bachelor thesis about Projekt S.